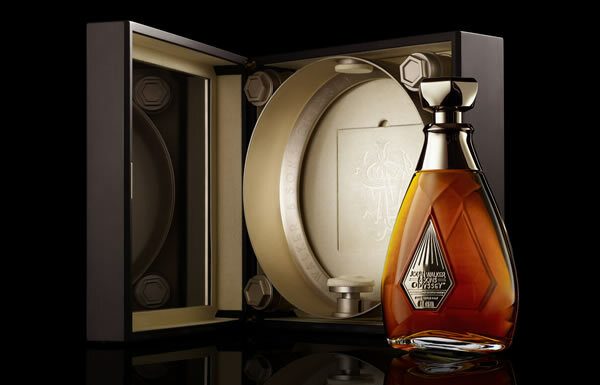 Diageo has launched a blended whisky through its John Walker & Sons brand to target the growing market for luxury Scotch in Asia-Pacific. Odyssey is a spectacular, new, award winning blend that joins the whisky house's renowned portfolio of luxury spirits in celebration of life's great journeys. The whisky is inspired by the vision of Sir Alexander Walker and commemorates the 80th anniversary of one of his innovations: a whisky decanter that could move to match the motion of the sea. A specially-designed crystal-grade glass decanter has also been created to house the new blend, a bottle that swings to and fro when gently pushed and that rotates a full 360 degrees as the case is turned. Johnnie Walker Master Blender, Jim Beveridge, said: "I searched a number of distilleries in Scotland for the perfect three whiskies to blend for John Walker and Sons Odyssey. They needed to have the right provenance and pedigree to create the aromas, tastes, flavours and sensations that Sir Alexander was looking for when he created the original blend almost 80 years ago." John Walker & Sons Odyssey is already available at Singapore Changi and Shanghai Pudong airports with an RRP of US$950 per bottle, with a global travel-retail roll-out to follow.